Guangzhou Peng Jun Machine Tool Co., Ltd.
Machine Tool Exhibition We will attend some famous international exhibition for machine tools. We will fix the wooden case strongly and cover it with a big rain cloth in the container. -After one year, non-profit spare parts will be send immediately when customer need. This machine can be used in areas such as mini precision parts processing, sample processing and modeling works. This can be used as mini precision parts processing, sample processing, and modeling works. Multi-function and multi-usage, can be turned within the foreign aid, turning thread, turning taper and so on. We treat it as our responsibility in every business. Our Goal. To get trust from every customers who contacted with us. We learned, shared and worked together to reach our goals. is located in Dongguan City, Guangdong Province, China. We have a mature and stable supply chain in China and Hongkong. We exam machines and control quality very strictly. What Is The Application Field of Vertical Lathe9 DRC has strong technical force, the advanced production equipment, and the perfect administration system. 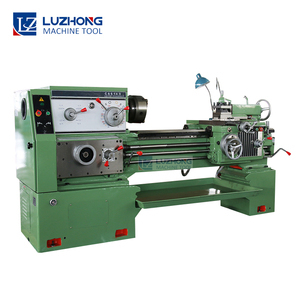 These single & double column lathe and NC vertical lathe have gained perfect praise by consumers since put into market. 3.Spindle bearing Spindle bearing adopts the inland famous brand, improve the accuracy of the machine, long use period. Swing over bed 400mm Max. Swing over carriage 210mm Max. Length of work piece 1000mm Width of bed 400mm Section of turning tool 25*25mm Max. weight of workpiece: 2 tons; Spindle hole diameter: 105mm; Guide rail width: 550mm; Main motor power: 11kw. . No. weight of workpiece: 3 tons; Spindle hole diameter: 105mm; Guide rail width: 600mm; Main motor power: 11kw. . No. weight of workpiece: 3 tons; Spindle hole diameter: 105mm; Guide rail width: 600mm; Main motor power: 11kw. . No. 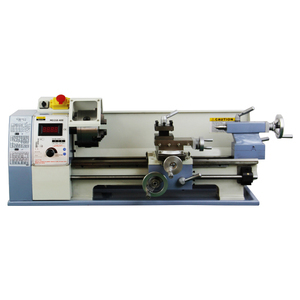 Alibaba.com offers 28,022 manual lathe machine products. About 1% of these are machining, 1% are wood lathe, and 1% are other machinery & industry equipment. A wide variety of manual lathe machine options are available to you, such as paid samples, free samples. There are 27,881 manual lathe machine suppliers, mainly located in Asia. The top supplying countries are China (Mainland), India, and Taiwan, which supply 99%, 1%, and 1% of manual lathe machine respectively. Manual lathe machine products are most popular in Western Europe, South America, and Southeast Asia. You can ensure product safety by selecting from certified suppliers, including 4,920 with ISO9001, 2,142 with Other, and 740 with ISO14001 certification.